Let me confess something: I’ve never been on a road trip. Not a proper one, at least. Sure, I’ve been on the occasional day-long drive around the countryside with my family, but those aren’t really road trips so much as grueling family outings, ones in which my brother and I would unironically whine, “Are we there yet?” to our quarrelling parents, who, by the second hour, had already forgotten that the drive was somehow supposed to save their marriage. When I say road trips, I really mean those fun drives people go on with their friends (or if with family, it’s with family members they actually chose to be with), no plans made except for a hazy, changeable goal of getting to this one location (changeable, except for when it’s something cool, like a music festival). I’ve always pictured those road trips to be more fun: feet on the dashboard (oh how my mother would weep), music I actually like on the car speakers, hands stretched out the window to feel the wind whizzing past the car. As a lit nerd, I’d read Jack Kerouac and I’d imagine going on a long, careless road trip where anything goes, just like he did, minus all the drama. I had also watched Freaks and Geeks, and the ending scene where Lindsay gets on a van with her new best friend to go follow the Grateful Dead on tour was something that I so wanted to live out myself. If that’s the kind of thing that sounds appealing to you, too, consider gathering your closest friends this weekend to take a drive to Batulao, Batangas. 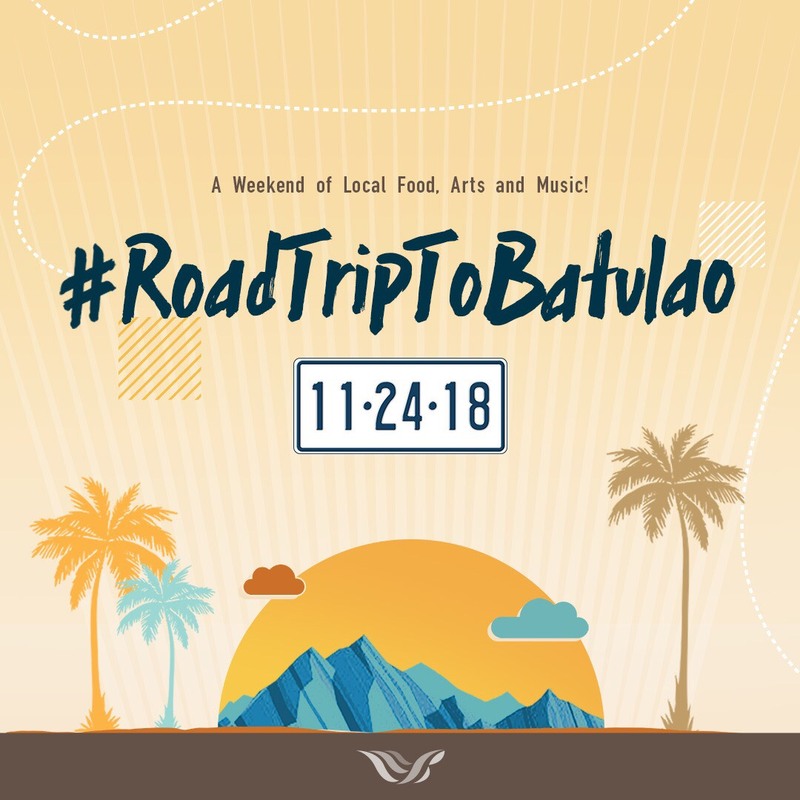 Batulao Artscapes, a livable art park and “artventure community” is hosting a Food+Arts+Music event featuring music acts like Hale and some cool guest artists (like painters and calligraphers), and it’s encouraging people to go on a #RoadTripToBatulao. To people coming from the metro, it poses the question: “When was your last memorable road trip?” If you’re going there, it might just be your newest one. The entrance pass to the art park is 300 pesos per person, and it entitles you to one free drink and unlimited access to the event grounds. You can pre-register at bit.ly/RoadtoBatulaoReg, and payment is upon registration. If you’re interested, you can contact 0917-5555274 or info@batulaoartscapes.com. You can also head over to the Batulao Artscapes website to learn more about the park and the event, as well as its Facebook page.